Greetings all, hope you all had a fantastic weekend. I know the Allknightz did. Anyway we got a lot of ground to cover today so lets get into it. 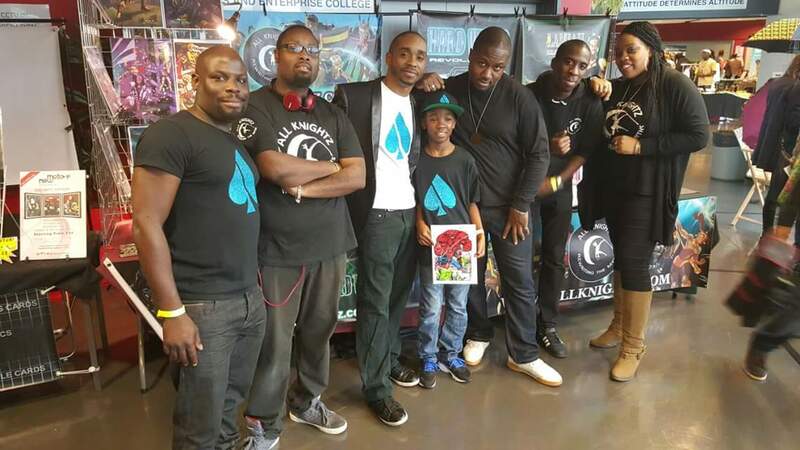 Over the weekend The Allknightz and New Motive attended Black History Studies, Black Market & Film Festival. Congratulations to Mark and Charmaine Simpson, on hosting another fantastic event at Platanos College in Stockwell. 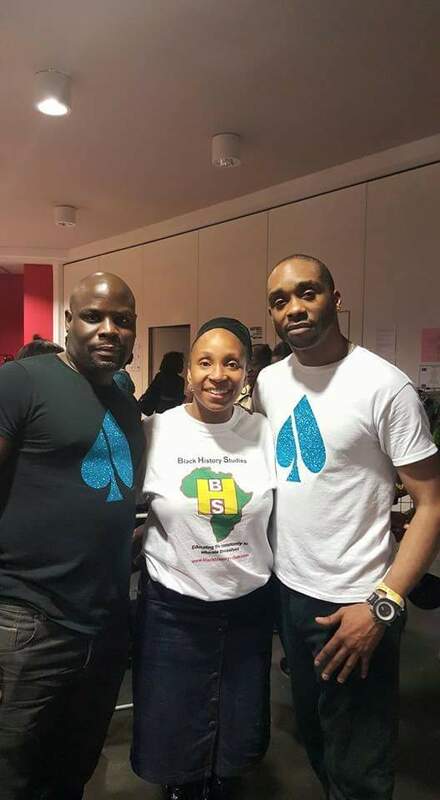 Charmaine Simpson of Black History Studies, with Senior Nobleman and Adrian Chambers from Ace of jacks radio. As The Black Market and Film Festival continues to grow year on year, new things are added to make it ever more successful. This year was no different, and this time the event was live streamed for all the world to see thanks to the amazing team over at Ace of Jack radio, who were also on hand for people to meet. You can visit the Black History Studies website by hitting the link right HERE. That’s 10 years old DJ Riece with Felisha Mason. He’s one of the resident DJ’s over at Ace of Jacks radio. Ace of Jacks radio & The Allknightz creating a powerhouse partnership. … And while we’re on the subject of partnerships, the Allknightz have also recently partnered with “Just Like Me Toys” and we couldn’t be prouder.You absolutely have to visit their website and see some of their amazing dolls right HERE. 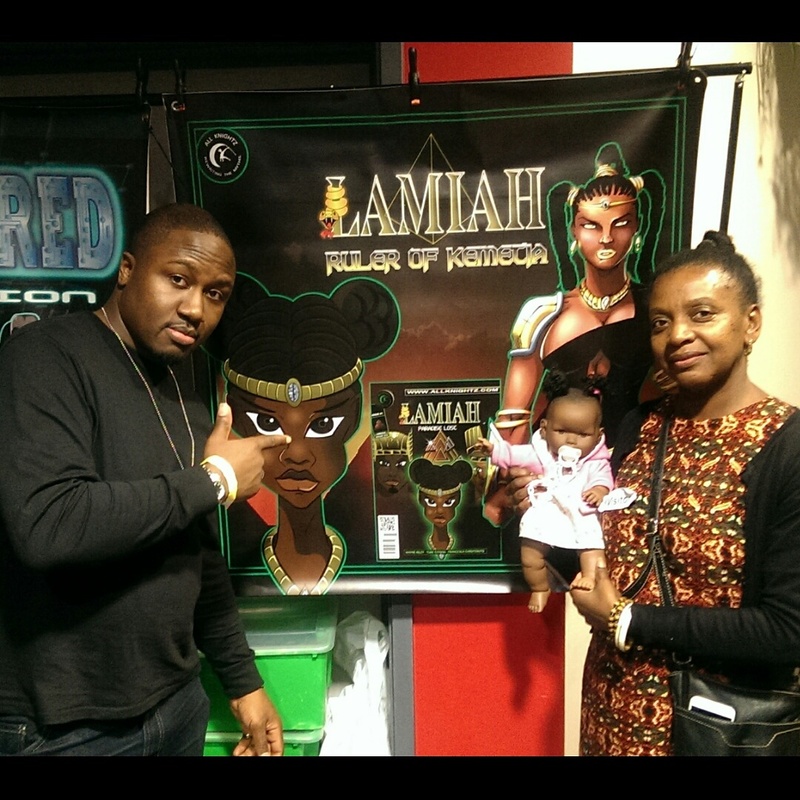 Wayne Riley of the Allknightz and Monique Smith of Just Like Me Toys. New Motive WOC were also on hand to offer advice and services. 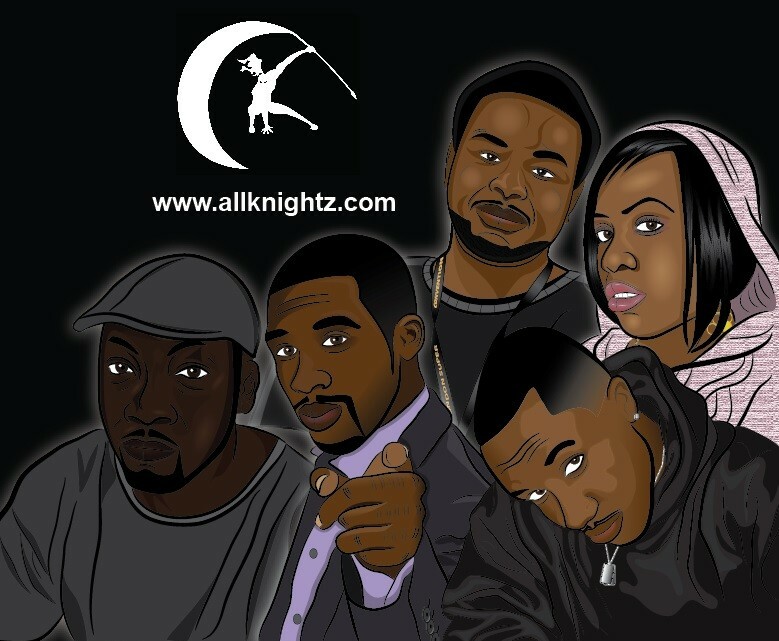 They specialise in Branding, Logo design, Title cards and they even did all of the Allknightz motion comic intros which you can check out in the video below. New Motive also have a pretty substantial art collection to back up their claims of being the best. Head over to their website right HERE to find out what they can do for you. 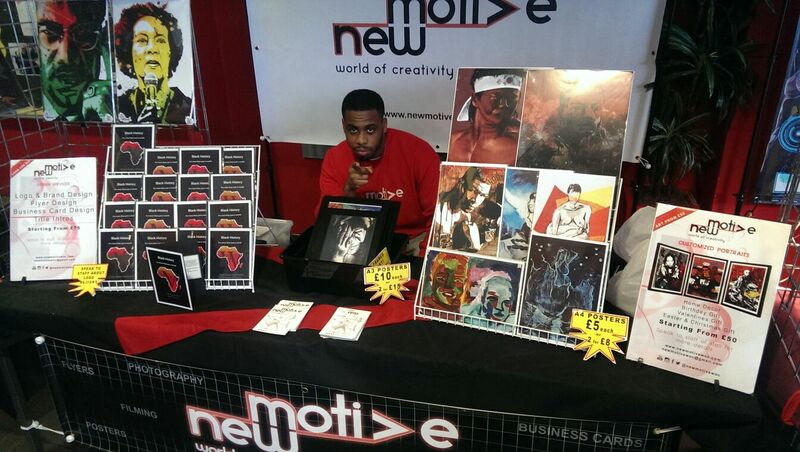 Sol Gamra representing the New Motive stall. 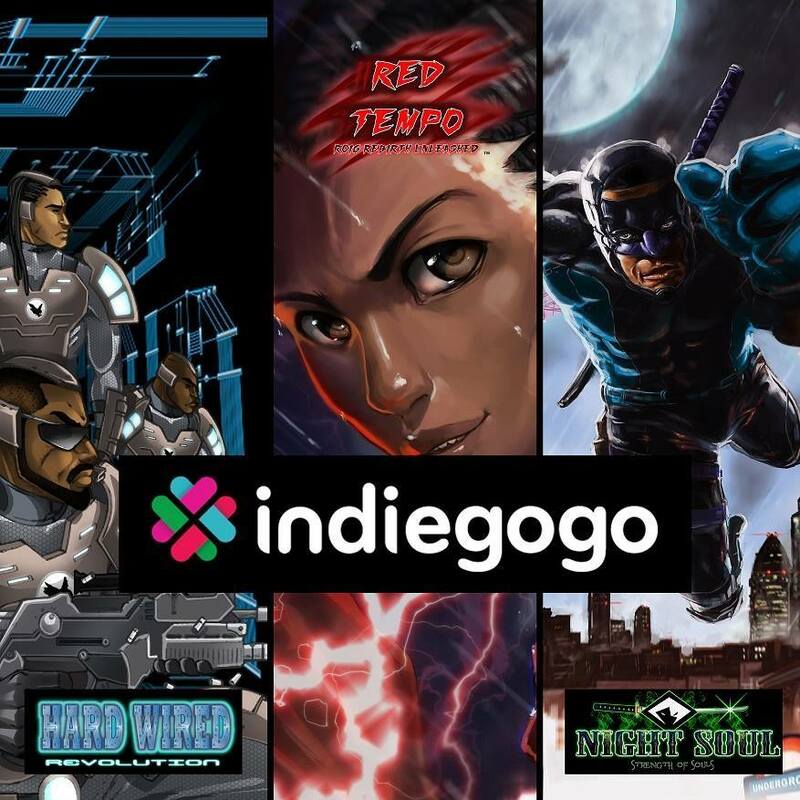 The Allknightz Indiegogo crowd fund campaign is picking up steam. 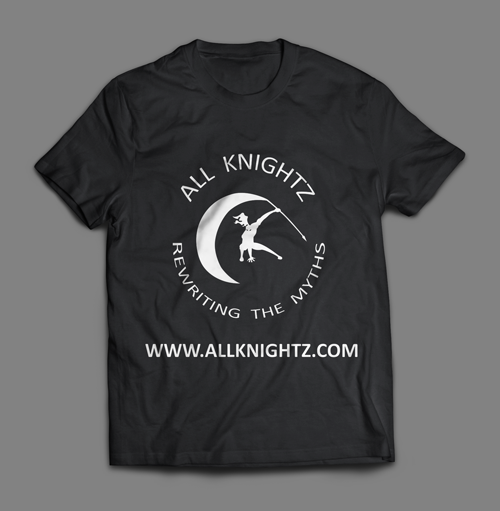 … Speaking of support, the Allknightz Indiegogo crowd fund campaign continues to rise. Will we hit our target? That’s for you to decide. Hit the link right HERE and contribute whatever you can to the cause. They say ‘Every little helps’ but we aren’t about take take take. 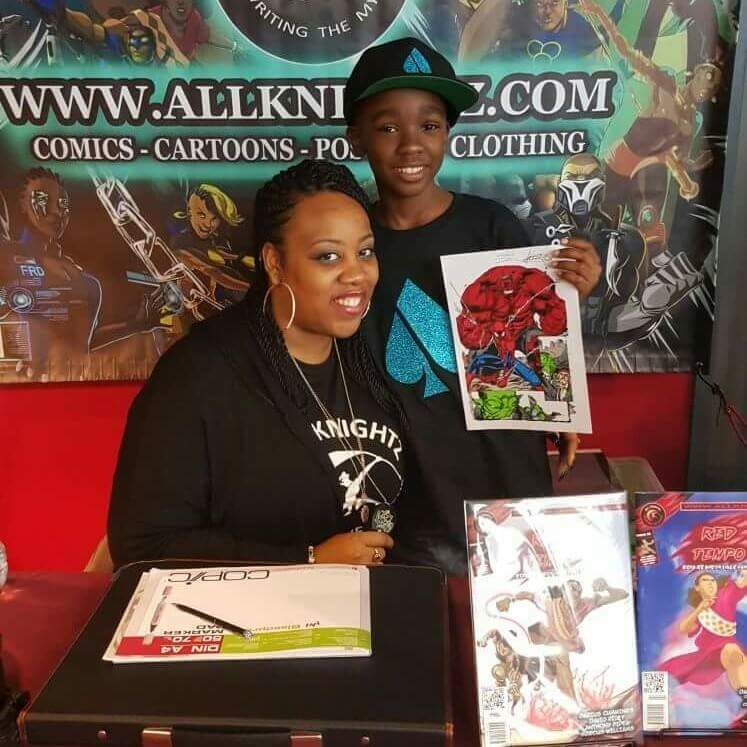 If you know us at all then you’ll know that the Allknightz are all about giving back, so we’ve prepared some really awesome perks including hats, t-shirts, posters, comic books and more, so help us out and get your Allknightz swag on at the same time. You could be in possession of one of these. …We are most definitely on the rise.